What is the cheapest way to get from Colmar to Guebwiller? 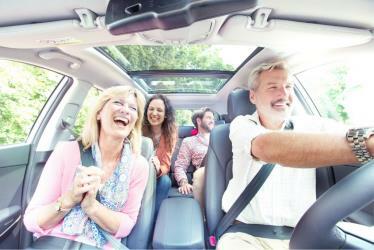 The cheapest way to get from Colmar to Guebwiller is to rideshare which costs 3€ and takes 39m. What is the fastest way to get from Colmar to Guebwiller? The quickest way to get from Colmar to Guebwiller is to taxi which costs 50€ - 65€ and takes 23m. Is there a direct bus between Colmar and Guebwiller? Yes, there is a direct bus departing from Gare de Colmar and arriving at Guebwiller, Pompiers. Services depart four times a day, and operate Monday to Saturday. The journey takes approximately 42m. How far is it from Colmar to Guebwiller? The distance between Colmar and Guebwiller is 22 km. The road distance is 26.9 km. How do I travel from Colmar to Guebwiller without a car? The best way to get from Colmar to Guebwiller without a car is to line 440 bus which takes 42m and costs 4€ - 6€. How long does it take to get from Colmar to Guebwiller? The line 440 bus from Gare de Colmar to Guebwiller, Pompiers takes 42m including transfers and departs four times a day. Where do I catch the Colmar to Guebwiller bus from? Colmar to Guebwiller bus services, operated by Conseil départemental du Haut-Rhin, depart from Gare de Colmar station. Where does the Colmar to Guebwiller bus arrive? Colmar to Guebwiller bus services, operated by Conseil départemental du Haut-Rhin, arrive at Guebwiller, Pompiers station. Can I drive from Colmar to Guebwiller? Yes, the driving distance between Colmar to Guebwiller is 27 km. It takes approximately 23m to drive from Colmar to Guebwiller. Where can I stay near Guebwiller? There are 980+ hotels available in Guebwiller. Prices start at 53€ per night. 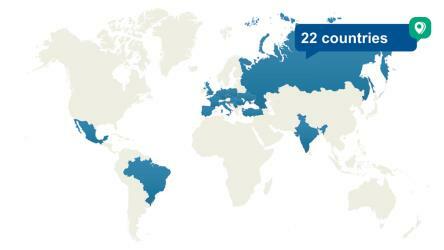 What companies run services between Colmar, France and Guebwiller, France? Conseil départemental du Haut-Rhin operates a bus from Colmar to Guebwiller 4 times a day. Tickets cost 4€ - 6€ and the journey takes 42m. Can I share a ride from Colmar to Guebwiller? 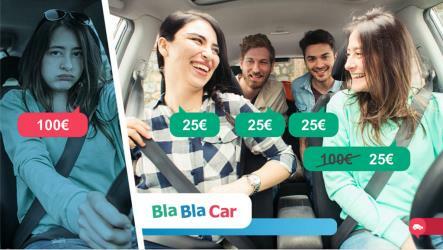 Check out Blablacar's carpooling service for rideshare options between Colmar and Guebwiller. A great option if you don't have a driver's licence or want to avoid public transport. Discover how to get to attractions and hotels near Guebwiller. The Cité du Train (English: City of the Train or Train City), situated in Mulhouse, France, is one of the ten largest railway museums in the world. It is the successor to the musée français du chemin de fer (trans. French national railway museum), the organisation responsible for the conservation of major historical SNCF railway equipment. The Unterlinden Museum (officially Musée Unterlinden) is located in Colmar, France, in the Alsace region. The museum, housed in a 13th-century Dominican religious sisters' convent and a 1906 former public baths building, is home to the Isenheim Altarpiece by Matthias Grünewald and features a large collection of local and international artworks and manufactured artifacts from prehistorical to contemporary times. The museum bears the quality label Musée de France and is one of the most visited in France outside of the Île-de-France. Murbach Abbey (French: Abbaye de Murbach) was a famous Benedictine monastery in Murbach, southern Alsace, in a valley at the foot of the Grand Ballon in the Vosges. The Château du Hugstein is a ruined castle on the borders of the communes of Buhl and Guebwiller in the Haut-Rhin département of France. Rome2rio makes travelling from Colmar to Guebwiller easy. Rome2rio is a door-to-door travel information and booking engine, helping you get to and from any location in the world. Find all the transport options for your trip from Colmar to Guebwiller right here. Rome2rio displays up to date schedules, route maps, journey times and estimated fares from relevant transport operators, ensuring you can make an informed decision about which option will suit you best. Rome2rio also offers online bookings for selected operators, making reservations easy and straightforward.